VIOLIN LESSONS TO START IN YEAR 4 CLASSES! As part of music development in Key Stage 2 we will be introducing weekly whole class violin lessons. This exciting new and rolling initiative will be part of the curriculum and free of charge to our families. As a learning community we are always looking for new ways to enrich children’s experiences at St Peter’s. We hope we can sow the seeds of a love of music through instrument playing for all children. When will it start? 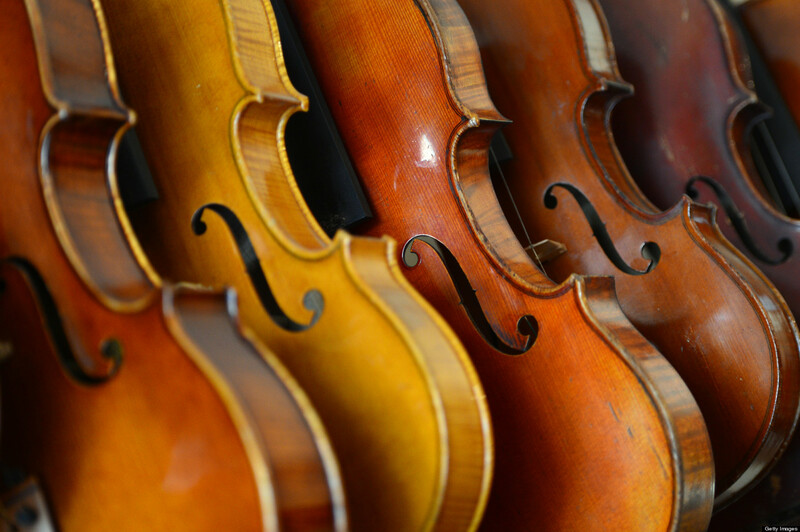 This year , as part of an inclusive curriculum, all children in Year 4 will receive whole class violin lessons delivered by tutors from the Triborough Music Hub. This will be a rolling programme beginning each September with each Year 4 cohort, with opportunities to continue in Years 5 and 6. So next year (2017-18) the programme will run in Years 4 and 5 and the following year (2018-19) in Years 4, 5 and 6. What will happen? Children will be issued with individual violins to take home for practice and bring to school for the lessons. Parents will be asked to sign specific home/school agreements. Why start in Year 4? Our rationale for choosing Year 4 as a start point was based on advice from the Music Hub, sustainability of the programme and practical issues regarding the size of the violins. What about Year 3, 5 and 6 and Key Stage 1? We hope to provide additional musical experiences for the rest of Key Stage 2. These may include African drumming or other instrumental experiences, visits from musicians, such as the Cavatina Chamber Music Trust, and musical based visits out of school, including The Classical Roadshow at The Barbican. In addition, all children will experience weekly singing and benefit from the very successful Voices programme. Children experience a rich variety of music at St Peter's primary, including weekly singing assemblies, Choir, class singing incorporated in our Voices project, musical events and concerts, both in school, Church and externally. The school choir is open to pupils from Year 3 to Year 6. Choir is an afterschool club and runs on a Monday from 3.30pm to 4.15pm.